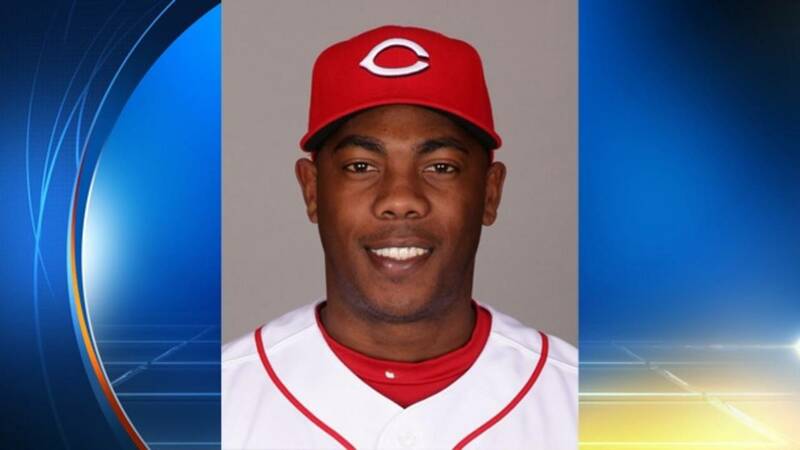 DAVIE, Fla. - Cincinnati Reds pitcher Aroldis Chapman will not face charges after he was involved in an altercation with his girlfriend at their home in Davie. According to an incident report, Chapman's girlfriend, who is also the mother of his child, called 911 after Chapman, 27, allegedly pushed her and choked her Oct. 30 at his home while he was hosting a party. Police said the woman, identified as Cristina Barnea, confronted Chapman after she found something on his cellphone that she did not like. Chapman then allegedly shoved Barnea and choked her in the theater room of his home. According to the report, Chapman left the home after the confrontation, punched the passenger side window of a friend's car that was parked next to his garage and grabbed a handgun from the glove box. The baseball player fired seven rounds into a concrete wall and one round that exited the garage through a window, police said. According to the report, no one was present at the time the gun was fired except for Chapman. Police said no arrests were made due to the lack of cooperation from all parties that were involved and because the gun was fired inside a closed and unoccupied garage. According to an ESPN report, the Reds were supposed to trade Chapman to the Los Angeles Dodgers on Monday but the deal has stalled as the MLB investigates the incident under its new domestic violence policy.